Curry lovers, in some respects, resemble coffee lovers. They are fanatical about quality, provenance and heat. Labels matter less than taste and price is pretty much irrelevant. Personally I adore a good curry and although I don't care too much for very hot curries, flavour is most important. Having moved to Upper Swan some years ago now we have been looking, in a desultory way, for a good, local, inexpensive curry house. Our search is over. 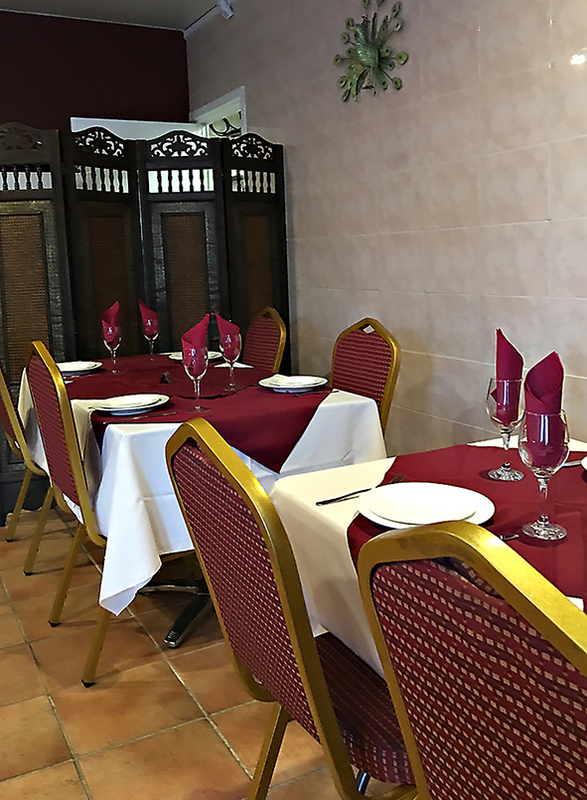 We have discovered a small, shop front, curry house that has the most polite, swift service combined with sublime curries at low cost. This Mecca for curry lovers is in Woodlake and we dropped in on a Thursday night, without booking, but were fortunate to get a table. Curry Lovers does a brisk 'take-away' trade as well as sit down meals. The menu is large, even vast, with all curries available as 'mild'. 'medium' or 'hot'. We chose the middle ground, but I found them milder than expected, so next time we'll order 'hot'. 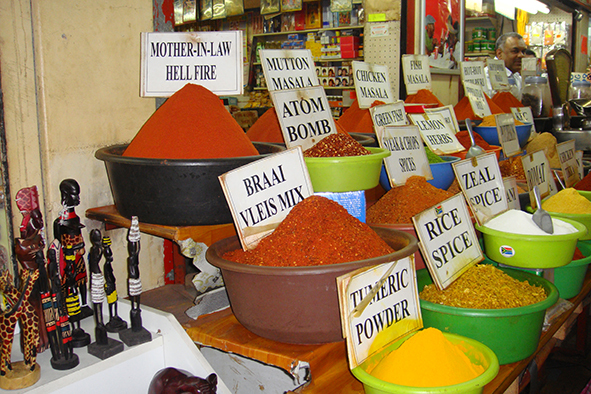 A brief reminisce - 1960s, Durban, South Africa, the then open-air Indian market, with great piles of gloriously coloured and fragrant spices and powdered curry, labelled 'hot', 'very hot', 'extreme' and 'mother-in-law's revenge'. 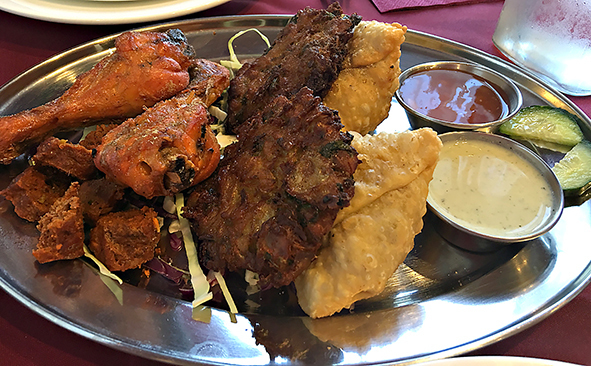 For our first course we chose a tasting plate - the 'Mixed Entree (for 2)' ($13.95 take-away) This was two Tandoori Drumsticks (The chicken is marinated in yogurt and seasoned with tandoori masala. Cayenne pepper and often Kashmiri red chili powder is used to give it the typical fiery red hue. It is traditionally cooked at high temperatures in a tandoor (clay oven). These were both tender and delicious. There were also two samosas, Pakora and two Sheek Kebabs as well as sweet chilli sauce and raita for dipping. All were delicious, the samosas particularly good, I found, crisp on the outside, delicious and savoury on the inside. 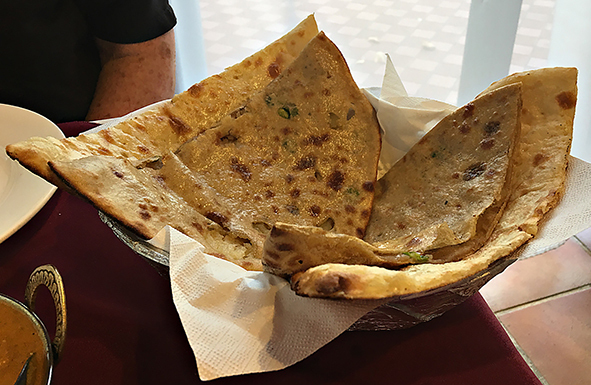 For mains we could have had Tandoori, Chicken, Beef, Lamb, Goat, Seafood or Vegetarian curries all with a selection of the exquisite Indian breads. In the event Angela chose one of the specials - Mango Chicken ($16.95 take-away), boneless chicken with tomato and ground cashews, in a rich thick mango sauce. For myself I selected an old favourite - Lamb Korma ($16.95 take-away). Korma as a dish was created for the Moghuls and is rich with yoghurt and ground almonds and spices, satisfying and delicious. Korma is a dish capable of wide variations by individual cooks and Curry Lovers' is particularly good. 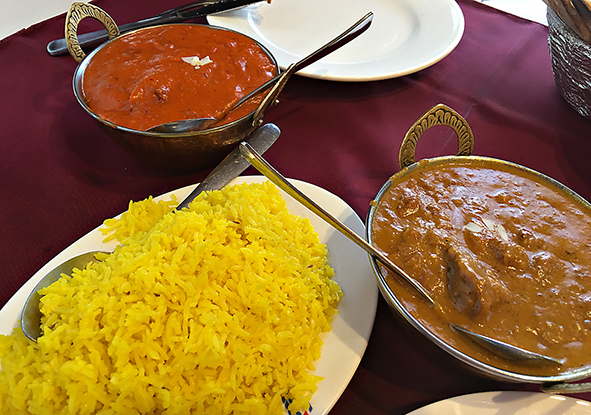 We had lovely fluffy saffron rice as well as Garlic Naan ($3.95 take-away) and Masala Parantha ($3.95 take-away) which is the usual parantha layered with lightly spiced potato. We didn't have a sweet course for two reasons - I find Indian sweets a trifle heavy and secondly we were too full to even contemplate sweets. We will return, and often I think, and there are riches to explore in the rest of the menu as well as the other traditional curries - vindaloo, subji, jhalfrezi, dhansak, madras, palak and makhan. Interestingly, the vegetarian curries are not a hasty add-on for the growing vegetarian and vegan market, but a deeply thought-out range for the true aficionado - Dal Makni, Kofta, Alu Gobi, Paneer Jhanfrezi, Mushroom Mattar, Dhal Tadka and more. I do have to say that among all these authentic and ancient curry recipes there lurks an imposter - Tikka Masala, a curry invented, so the story goes in 1971 in Glasgow. A disgruntled taxi-driver sent his curry back saying it was dry, so the chef tipped his own tomato soup into the dish, returmed it to the diner where it was declared delicious and more demanded, with the dish eventually ending up on the menu. This story is almost certainly apocryphal, but who cares, it a great story and a great curry. Curry Lovers is not licensed, but there is a Liquor Land in the complex and they offer a range of soft and the traditional lassi - mango, salty and sweet. If I might suggest, beer goes well with curry, as does cider and the sweeter, fruitier whites. Service was swift, the curries delicious and the prices moderate. It's hard to see what any curry lover might want than Curry Lovers. Mother - in - law's revenge, ha, I like that. I really enjoyed this article. So informative. It has made me crave a good curry. Never knew such a story about tikka masala did the rounds. Amusing!! 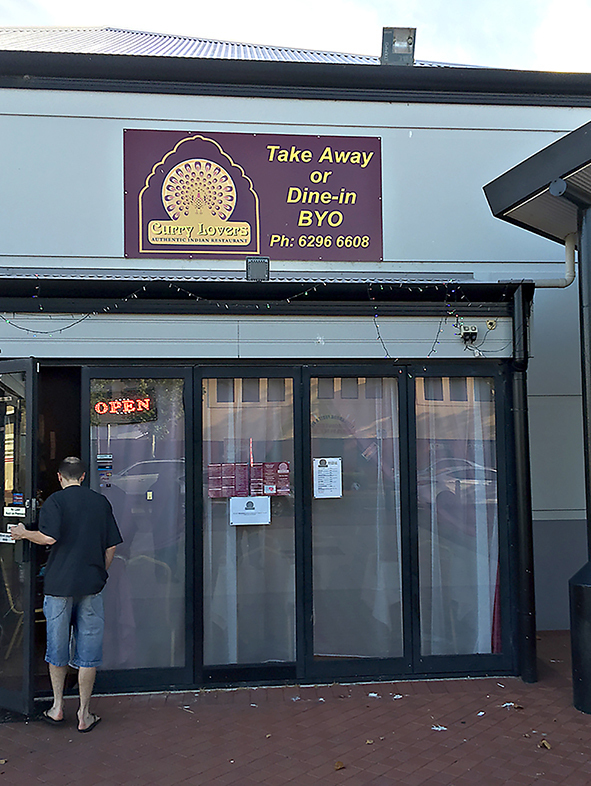 If you're south of the river an equivalent (and hidden) gem for price, service and best of all taste, can be found in Willetton on Apsley Road: Samson's Jollygood Catering is actually a restaurant which serves great food with a smile. Their aubergine curry is to die for and we order multiples of it to accompany our other dishes when we go!